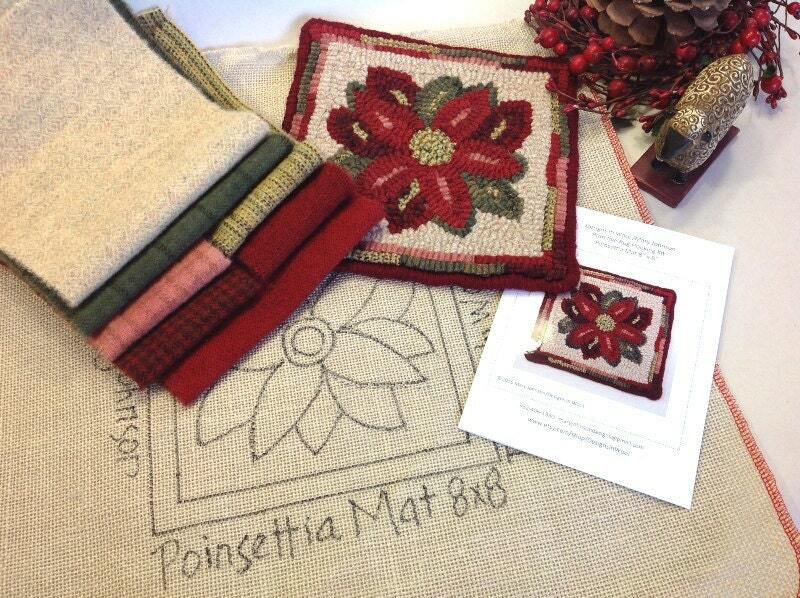 This listing is for the KIT to hook my design "Poinsettia Mat". The design measures 8" x 8". The hooked mat shown in the photos is for display only. 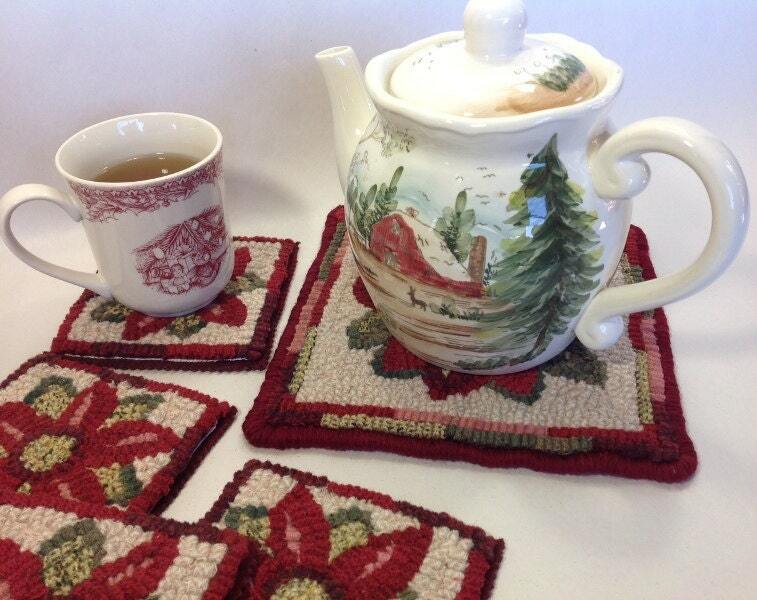 Your tea pot or coffee pot is just waiting to sit on this rug mat!! (See 5th photo). It a great project to hook and give to a friend. Besides holding your tea pot, it also makes a great mat placed in a basket or used to top a stool. 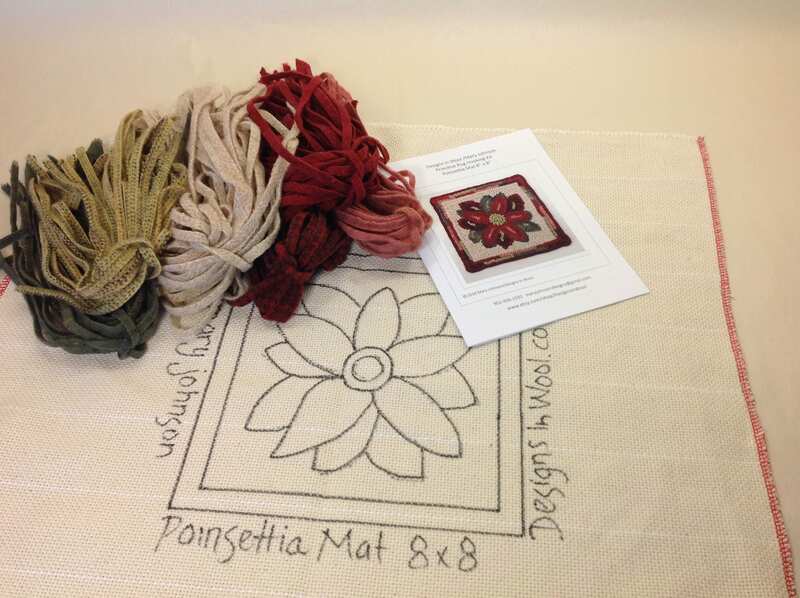 If you have learned how to rug hook or are planning on attending a workshop or class, this is a perfect beginner project. Just big enough to see how you like rug hooking. The kit comes with the wool cut in 1/4" wide (#8) strips, so with just a few other items, like a rug hooking hoop or frame and a rug hook, you will be ready to hook. Please read below to see what the kit does and does NOT include. 2. 100% wool fabrics that I have hand dyed and/or felted. Cut in #8 (1/4" wide strips). The kit DOES NOT include a hook or finishing tape or yarn. It DOES NOT include instructions on how to hook. If you would like to purchase JUST the pattern, see listing P116. 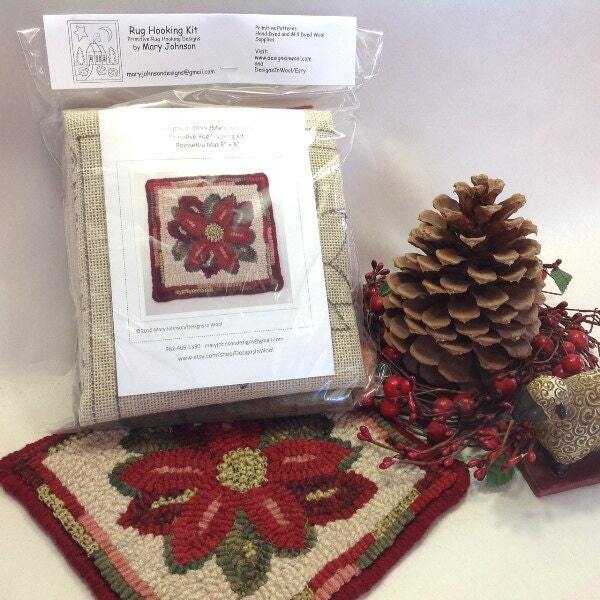 To see the Poinsettia rug mug kit, see listing K107. To purchase a hook, see the hooking supplies section. 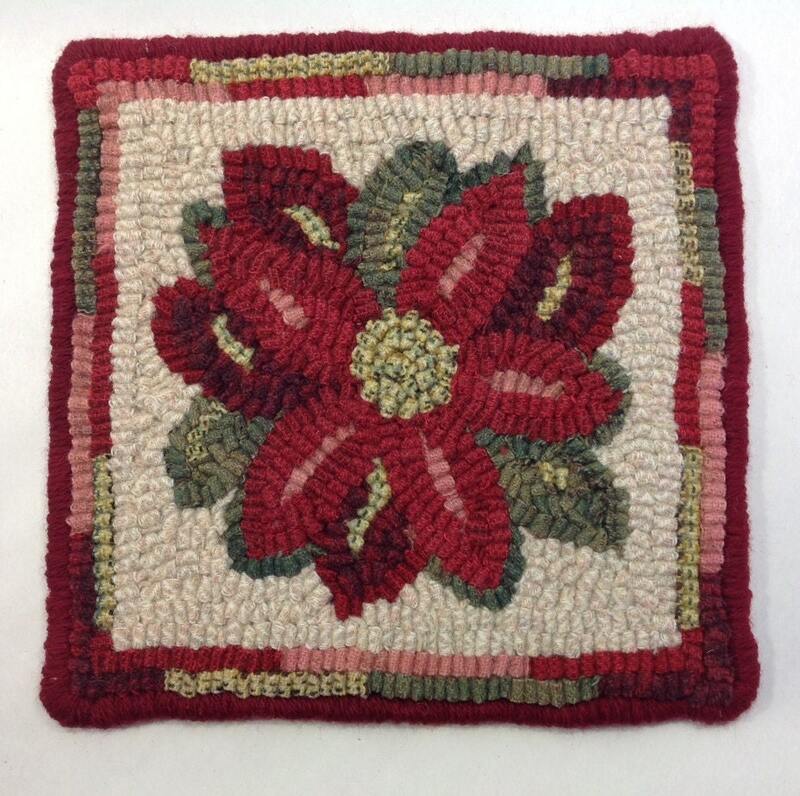 You can find many on line sites that will help you learn how to hook and finish hooked rugs, or search on line for rug hooking groups in your local area. They are always happy to help. Thank you for visiting and please email if you have any questions. Designs In Wool is a smoke free, pet free environment. and finished this one too....thank you Mary.